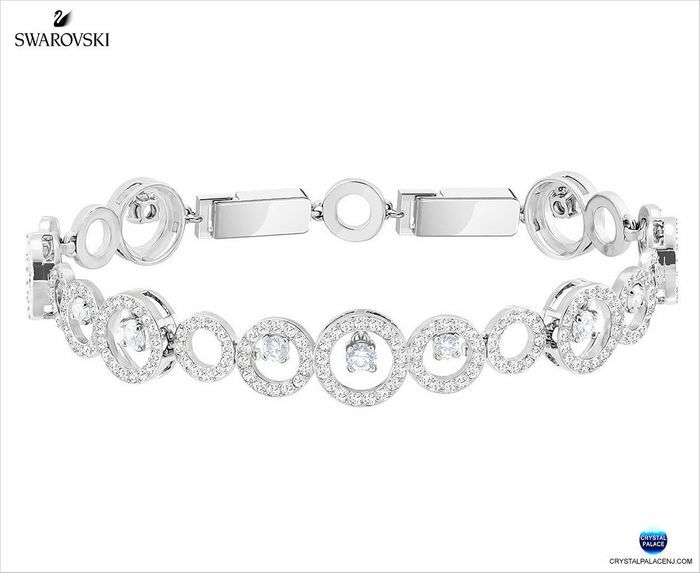 Dial up any outfit with this elegant bracelet. Imagined in rhodium-plated metal, its filigree silhouette evokes the delicacy of lace. Most of the pavé-encrusted circular motifs contain crystals to add extra impact to the design. An opulent accessory for any party dress, it could also be dressed down with a sweater and jeans for a touch of holiday sparkle.